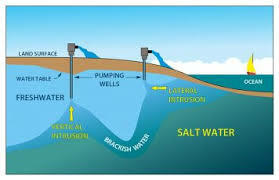 Decades of too much pumping and draining to provide both drinking water and flood control leave South Florida susceptible to “saltwater intrusion” – when the ocean moves in and contaminates underground freshwater sources. But Congress dragging its feet on delivering the federal share of Everglades restoration – which is supposed to be a 50/50 split with the state – has slowed efforts through the years. Any lingering concerns about the Lake Okeechobee reservoir and other restoration plans should be addressed quickly so Congress can act. And making matters more difficult, the demand for South Florida’s drinking water keeps growing. More than 3 million people are expected to move to South Florida by 2025 – boosting drinking water needs about 22 percent, according to the South Florida Water Management District.